Only the wildlife you want! 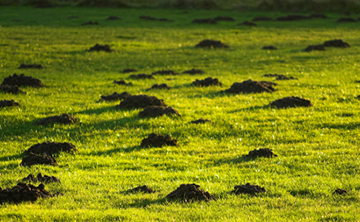 Whether it is marauding moles, sneaky squirrels or calculating cats – there are plenty of uninvited guests who can create havoc in your garden – and frustration and cost for you. And that’s just the four-legged invaders – there are plenty which have even more legs to stand on, never mind wings to aid their invasion! So if it’s aphids in your asters, wasps in the walnut tree or ants under the arbour, we can help you: see our specialist pest services for more details, and remember that Advantage can help guard your garden – or any other area in a park, sports ground or school. We also offer specialist agricultural pest control for farms of all types.